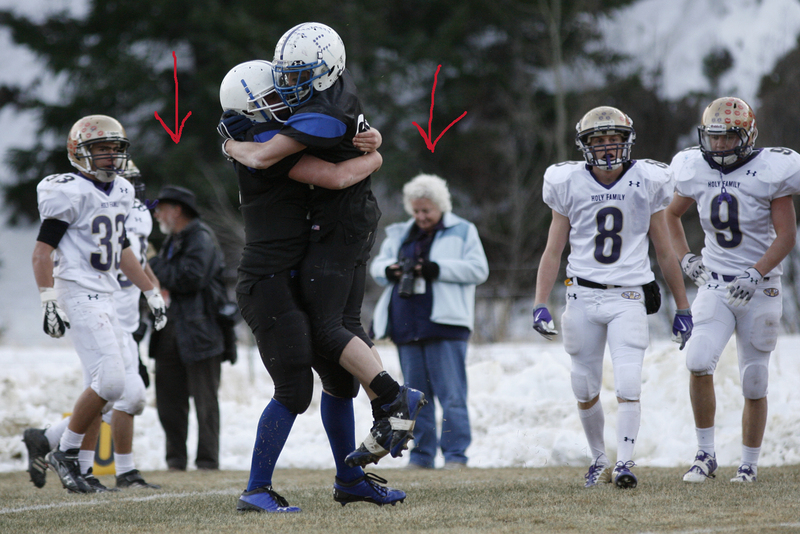 The photo above illustrates what it takes to be a good sports photographer. As the other shooters in the background (subtle yes, I know) chimp their photos from the play directly before this, they miss a really good moment. The celebration shot tells it all. Platte Canyon needed a touchdown to win and while they didn’t get the touchdown on this play they came within a yard of the goal line and gained a pivotal first down. The point of this post is that you can’t stop shooting when the play is over. Some of the best moments come right after the play as teams celebrate or react. Capturing the moment that defines the game is always the goal for sports photojournalists. Sometimes that moment does not have a ball in the frame.